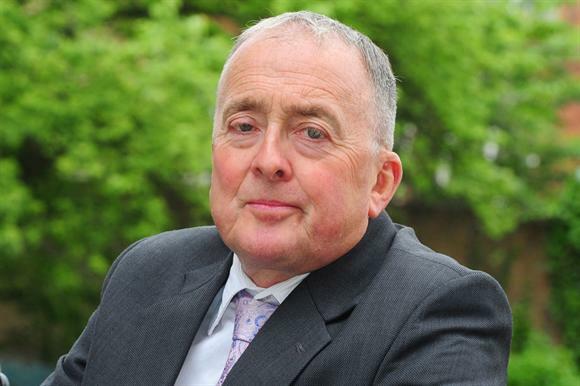 Sir Stephen Bubb might be stepping down as chief executive of the charity leaders body Acevo after 15 years, but he’s quick to point out that this will not be the end of him speaking out. "I’m not going into a monastery," he tells Third Sector. "People won’t be wondering what has happened to Bubb." Bubb, who he has become one of the most recognisable and outspoken figures in the charity sector, will step away from his role at Acevo in June to take up a post leading the Charity Futures Programme, a new leadership and governance initiative that will sit within Acevo but will be funded separately using money donated by a philanthropist. He says the idea to create the CFP came last year after the philanthropist, who wishes to remain anonymous, heard him speak on BBC Radio 4’s Today programme about the collapse of Kids Company. "I was talking about the importance of capacity and how you can’t deliver on the front line unless you have the back office right," Bubb says. "You have to invest in leadership and governance, but the trouble is that most funders won’t do that. He [the philanthropist] completely agreed, so he called Acevo and came to see me." 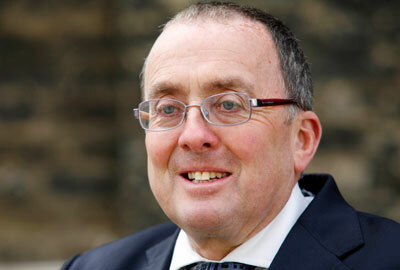 Sir Stephen Bubb will step down as chief executive of the charity leaders body Acevo next month to take up a post leading a new programme to improve leadership and governance in the sector. The decision to step aside will bring to an end Bubb’s 15-year tenure at Acevo, during which time he has become one of the most high-profile figures in the charity sector. Bubb’s decision to take on the new role has come after a difficult period for both the charity sector and for him personally. In recent years charities have been heavily criticised in the mainstream media about issues including their fundraising practices and levels of senior executive pay. Bubb has generally defended the sector, but at times has found himself in the firing line. In 2013, the Daily Mail heavily criticised him after he held his 60th birthday party in the House of Lords and Acevo covered half of the £1,000 costs. Earlier this year he was labelled a "charity chump" in The Sun newspaper for defending Age UK’s deal with the energy provider E.ON. "I won’t say that it hasn’t been hurtful and upsetting," says Bubb. "But if people can’t attack you on the strength of your argument and have to resort to petty insults, it’s a reflection on them rather than me. You have to take it on the chin." There have been murmurings of discontent among charities about how the sector’s umbrella bodies have handled attacks on the sector in recent years, but Bubb says he has decided to call time on his tenure and has not been driven out. "I got to the point where I’d served 15 years at Acevo and turned 63," he says. "I have been thinking about moving on." His decision to step aside from Acevo was met with "some nervousness" internally, he says, given the reputation he has built over the past 15 years, but it wasn’t met with any resistance because the CFP was considered a really good development. "I’ve had nothing but warm wishes," he says. He suspects Acevo’s members will have some reservations about the person who has been the most "robust defender of sector leaders" moving on to another role because they want Acevo to speak out and speak up, he says. "They like the fact that Acevo sometimes gets stuck into the debate, but always on the side of sector leaders," he says. "They like the general line of ‘don’t mess with us – we do a bloody good job’." Asheem Singh, director of public policy at Acevo, will assume the chief executive’s role until Bubb’s successor is found. Bubb says he intends to step back from Acevo and won’t be involved in the recruitment of his successor or "hovering in the background giving ‘helpful’ advice". He says: "If someone asks for my advice, I’ll give it, but I won’t be popping into the office. I have done my 15 years and now someone else will give it a go." There will be some issues with which he wants to remain personally involved, such as continuing to champion the work of Muslim charities, some of which have been the subject of negative media coverage. In July, he will turn his attentions full-time to the CFP. Initially, he won’t have a permanent office and intends to spend the first six months thinking about how the new organisation can help and improve governance and leadership in the sector. He will then have £400,000 and two years to make something out of the concept. While reluctant to pre-empt precisely what the CFP could become, he says it could lead to the creation of "school, a centre or an institute" for charity leadership and good governance. "In my head, I don’t think it will be a centre that’s running lots of courses," he says. "I think it’s more likely to be involved in standard-setting and good practice, thought-leadership, research and advocacy. It will champion the cause of good governance." But he has no intention of retiring anytime soon, he says: "I’m not the retiring type. Given where the sector is at the moment, I don’t think it would be right to retire. "I think I can make a big contribution, but in a different way. Stepping down from the management responsibility at Acevo and putting all of my efforts into the CFP seems right. And it’s what I’m good at: it builds on my wealth of experience and my massive range of contacts."